The Waitangi National Trust estate - New Zealand's most historic site as the 'Birthplace of the Nation' is where the Treaty of Waitangi was signed on the 6th of February 1840. Waitangi, a 506 hectare (1000 acre) reserve, presents a rare opportunity to experience the place where both Maori and the British Crown signed New Zealand's famous Treaty of Waitangi. The reserve includes recreational areas, tidal estuary, mangrove forest, open coastline and native bush. The Bay of Islands was an important area of early Polynesian settlement in New Zealand. It was also the scene of contact with early European explorers including James Cook, Marion Du Fresne and Dumont D’Urville, all of whom stopped here. Whaling to the South Pacific brought ships to the Bay of Islands. Early whalers and sealers traded with the Maori and Kororareka (present day Russell) became the centre of trade in New Zealand. Muskets eventually became a major item or trade and conflicts broke out at Kororareka between Maori and Europeans, between whalers, seamen and missionaries. 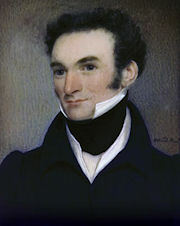 In 1832, James Busby was appointed as British Resident to protect British commerce and put an end to the outrages perpetrated by British subjects against the Maori. Under his guidance, twenty-five northern chiefs and Europeans met at Waitangi and chose the country’s first flag. The following year, alarmed at the news that a Frenchman had bought 40,000 acres of land in the Bay of Islands, Busby organised 35 chiefs to sign a declaration of independence to prevent further foreign intrusion. Lawlessness and land disputes were becoming common when Captain William Hobson sailed to New Zealand to suppress an armed clash between settlers and Maori. 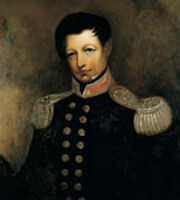 He returned in January 1840 as Lieutenant Governor and, assisted by Busby and the Reverend Henry Williams, drafted the Treaty. On 5 February 1840, Hobson addressed a large gathering of Maori chiefs, assembled by missionaries at Busby’s home. A large marquee with a frame of ship’s spars and covered by ship’s sails was put up on the front lawn outside Busby’s house. They debated the question of accepting the Queen’s governorship, the chiefs retiring across the river that night to continue their debate. The following day Hone Heke became the first of 46 chiefs to sign the Treaty of Waitangi. Missionaries and officials carried the Treaty around the country so that over 500 Maori leaders could add their mark to the document. The Maori people ceded their governorship to the Queen and she in return guaranteed them the possession of their lands, forests, fisheries and other valuable property they possessed. They chiefs yielded to the Queen the sole right of purchasing their lands. They were granted the full rights and privileges of British subjects. On 21 May 1840, Hobson proclaimed governorship over the whole of New Zealand. Originally known as the 'Residency' the Treaty House was originally built in 1834 for James Busby, and is one of New Zealand's oldest surviving buildings. 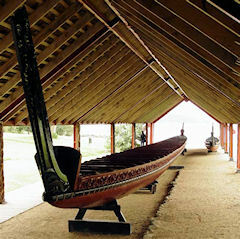 The frame of the house was shipped from Sydney, Australia in 1833 and was completed at Waitangi the following year. Most of the weatherboards are New Zealand native kauri and the framing is Australian hardwood. The chimney bricks were made in Parramatta, Sydney, hand forged iron nails were used and the roof was shingled. The story of the Treaty house does not end with the signing of the Treaty of Waitangi. By 1844, Busby was in financial difficulties with his commitments in Sydney. He boarded a whaling ship to America with 30 tons of kauri gum which he hoped to sell to clear his debts. When he returned in 1846,war had broken out in the Bay of Islands and his wife and children had returned to Sydney. The house was plundered, lead stripped from the roof and the windows removed by a friend for safe keeping. With Busby’s permission, army officers occupied the house during the land wars. When the family returned it took a long time to rebuild and repair the damage. By the 1870s the house had reached its heyday and it sank into decline once more when the Busby family left. The estate became a farm and sheep camped in the house, the front of which was used for shearing. It was not until 1932 that the Governor General, Lord Bledisloe, bought the house and grounds, gifting it to the nation. A trust was set up that same year to administer the house as a national memorial. The Waitangi Treaty House represents one party of the Treaty. The other prominent building in the historic precinct is the Whare Runanga, a Maori meeting house standing as a monument to the nation, its people, and its ancestors. Sir Apirana Ngata pointed out that a carved meeting house (Whare Runanga) should be built at Waitangi by Maori to commemorate the centennial anniversary in 1940 of the signing of the Treaty. Building began in 1934 and the result is unique. Unlike most Whare Runanga which are built as a monument to a particular tribe and their ancestors, this one contains carvings representing tribes from all over New Zealand. 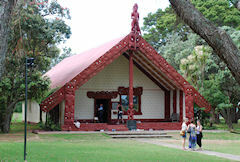 Both Whare Runanga (meeting house) and marae (grassed area in front) form an important part of Maori culture, with strict protocol governing proceedings and behaviour. The meeting house often symbolically represents a notable ancestor and carvings and tuku tuku (woven panels) within the house record the stories of the people. The apex of the roof represents the ancestor's head, the ridge pole his back bone, the bargeboards his arms, the rafters inside represents the ribs, and the interior his chest. A short walk from the Visitor Centre leads to Hobson’s Beach and the canoe house. Ngatokimatawhaorua, the 35 metre long war canoe (waka) is one of the largest ceremonial war canoes in the world with a hull carved from two massive kauri trees, felled in the Puketi Forest in Northland. It is launched each year for the ceremonial commemoration of the signing of the Treaty.